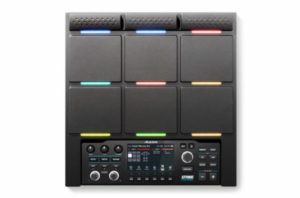 Alesis have sneakily brought out a new electronic drum pad with sampling and looping capability, the Alesis Strike Multipad. 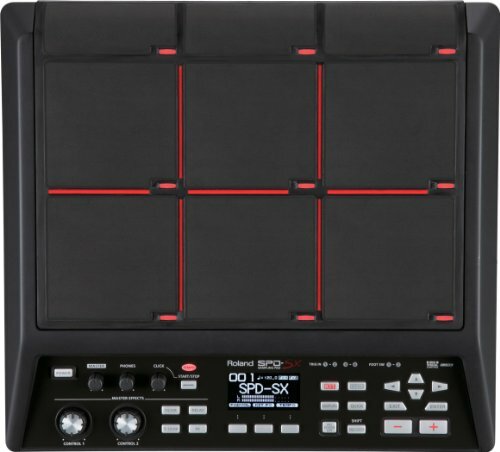 This has some similarities in look to the Roland SPD-SX, but also with onboard looping. This is a great thing for the sample pad market. To this date, there are only a few high-end options that you can consider, whereas there are many entry-level and intermediate ones. 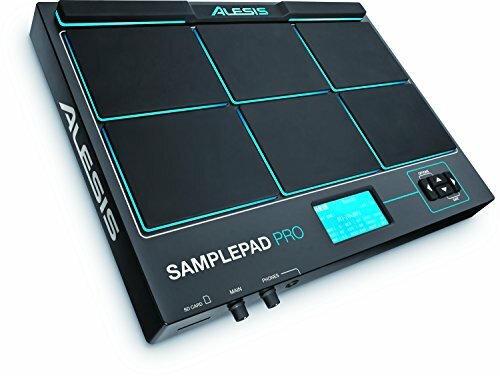 This is quite a step up from their last contender in the sample pad market: The Alesis Sample Pad Pro. We discuss the differences between these devices later on in the article. The Strike Multipad includes 9 pads with lights that show which pads are currently in use. A cheaper sample pad from Alesis, with more basic sampling functionality. 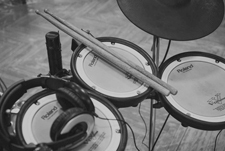 Sampling capability: Not all electronic drum pads actually allow for custom sampling. 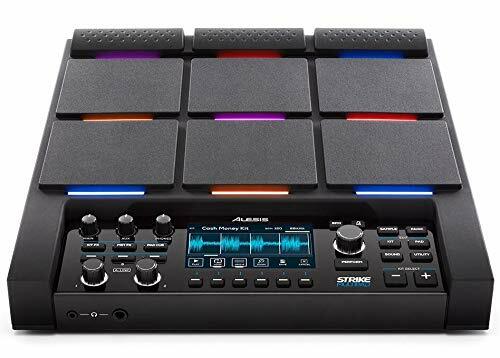 The Alesis Strike Multipad has some great sampling features, including the ability to load via USB or sample directly into the device via the audio inputs. Lots of input and output options: drum pad and trigger inputs, foot controls, audio inputs, MIDI outputs. Great display: The display on this device looks absolutely fantastic. It’s one of the best of any sample pad we’ve seen. The buttons and knobs on the bottom of this pad make the user interface much better, with less navigating through menus needed on-the-fly. Looks cool: This sample pad looks great. It’s quite a step up from the Alesis Sample Pad Pro. 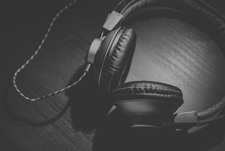 It includes around 7000 internal sounds, which include both melodic and percussive sounds. It has 32GBs of internal storage for you to load custom samples. You can import these by USB. It also allows for an external SD card for additional storage. The LED screen has a very nice user interface to navigate through these. 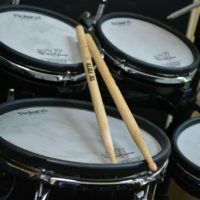 There are 4 back inputs which allow you to expand this into a mini electronic drums set. This includes a hi-hat input. Foot control inputs allow you to hook in a foot-switch to control onboard functions of this sample pad. There are also audio inputs that allow you to record into this sampler. You can use the knobs to control exactly where you want the start and end points of the loop. The Strike Multipad includes USB MIDI and Audio Interface, and standard MIDI pin connections (input and output). Therefore you can use this to trigger external drum racks and samples from music software on your computer. This is a standard feature on most electronic drum pads. The looping is similar to that of the Roland Phrase Looping. The LED screen actually looks better than the Octapad. However, I think the options to edit where you are in the loop are not as good. There are lots of standard effects available. The hardware knobs here are a great feature because it can be very awkward to perform and tweaks effects live without them. There is a main output as well as phones, so you can monitor while also sending an audio signal to a PA or amplifier. There are volume knobs on the front to control both of these. The lights are very interesting on this device and they actually look really cool. Flashing lights let you know that the pad is engaged in a loop. The straight lighting actually shows the timeline of the loop as it’s running. A very impressive feature indeed! The colors of the lights are also adjustable. This feature isn’t particularly important for most, but it’s a nice to have. What’s the difference between the Alesis Sample Pad Pro and the Alesis Strike MultiPad? There are many differences between these pads. In general, the build quality is far superior on the Alesis Strike Multipad. It’s a pro option, whereas the Sample Pad Pro was honestly at a more entry or intermediate level. 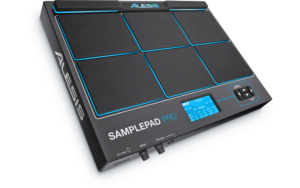 If you want to learn more about the Alesis SamplePad Pro, check out our more detailed hands-on article here. The Price: The Strike Multipad is a lot more expensive than the Sample Pad Pro! 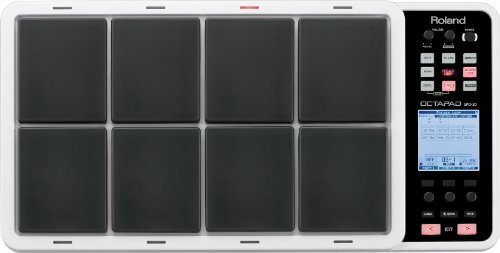 The Alesis SamplePad Pro does not have the looping functionality that is present in the Strike Multipad. 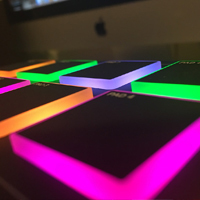 The SamplePad Pro allows for custom sampling to be loaded via USB, but it doesn’t have the wide live audio input sampling features that the Strike Multipad has. 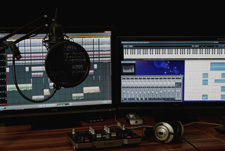 Effects and user experience: The SamplePad Pro has a relatively basic interface, which means that you spend more time navigating between menus. The Strike MultiPad has a much more interesting interface, with better hardware buttons and knobs. The Strike MultiPad also has a lot more effects and the ability to tweak them all on-the-fly. There are other differences between these two devices, but those are the main ones that come to mind. 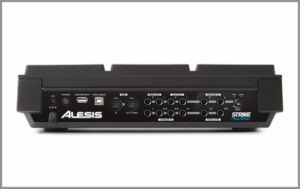 Alesis are entering the electronic sample pad market with a serious contender. 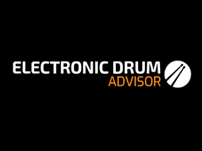 If you want to check out alternative sample pads then check out our popular article on the best electronic drum pads. The Strike Multipad will no doubt be out of the price range for many, but it’s great to have another option to add to the competition. 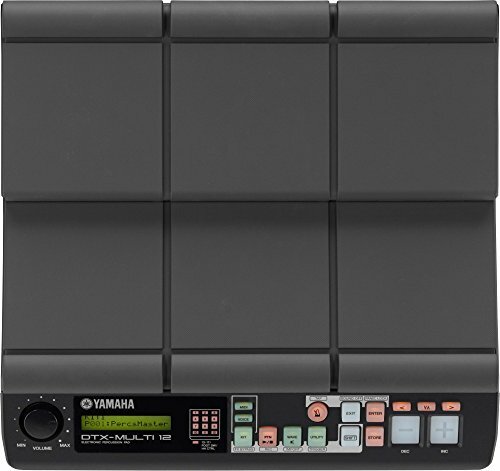 The entry of this device might also spark some more innovation from Roland and Yamaha in this area.